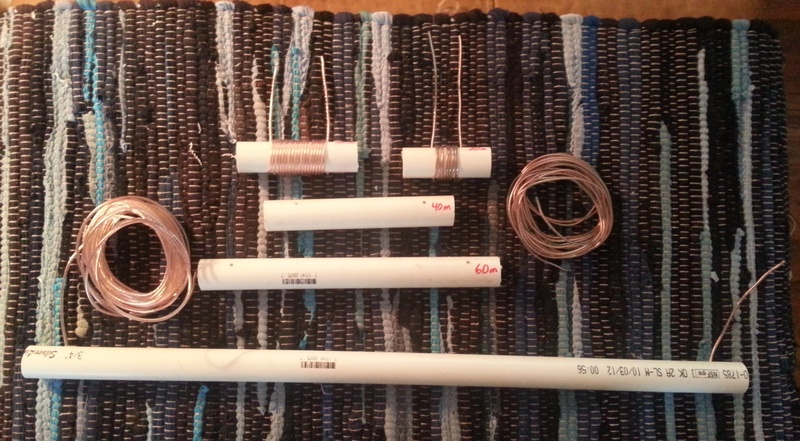 This is the first post about my project to build W3FF’s Homebrew Buddistick antenna. This is Budd Drummond’s design which is documented on his homepage. The plans for this antenna are on his web site. I am a new Ham Radio Operator and am just getting my feet wet with HF. I have a Yaesu FT-857 sitting in a box waiting for a power supply and an antenna to get me on the air. I wanted to build an antenna that would be fairly easy to make as well as not very costly. After a fair amount of research, I settled on this for my first HF antenna. It looks like it’ll be easy to set up and take down as needed as I intend to use it for Field Day, and any other times I am out in the field. I really don’t intend on being tied down to a home station. I am going to build up a portable station of some sort. My first step was to collect the parts. I spent a few weeks picking up bits and pieces. This first picture is what I bought in terms of hardware components. 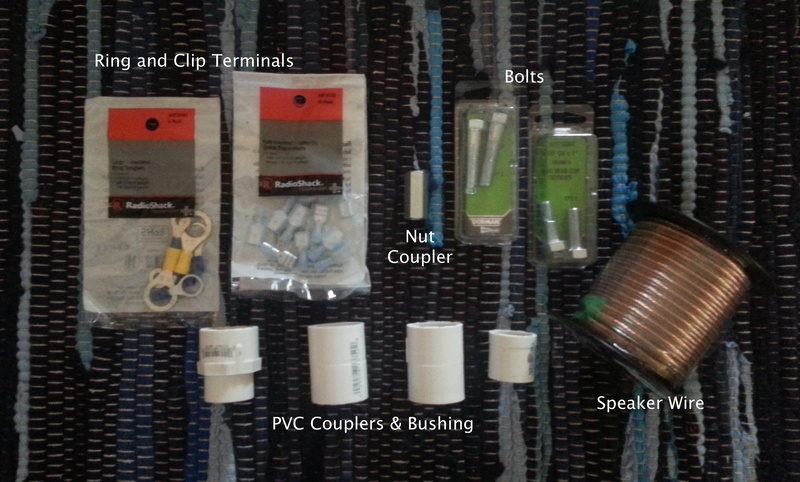 I did not find the 1 1/4″ bolts that Budd specified, so I bought 1″ and 1 1/2″ versions and will figure out which to use as I make that part of the antenna. 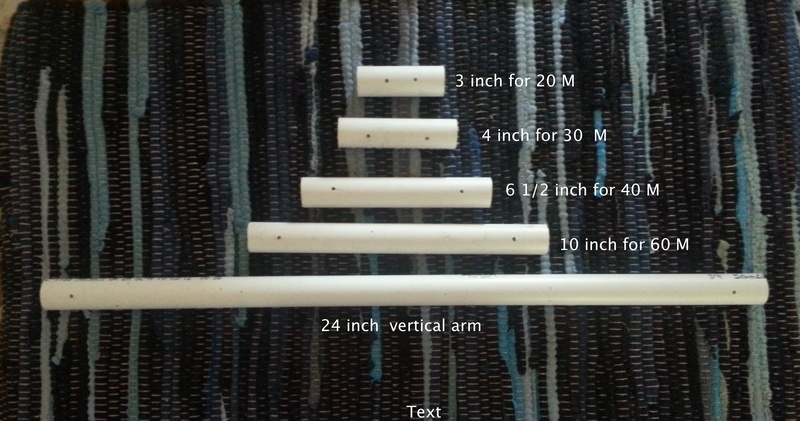 The PVC components are pictures below already cut and drilled per the instructions. The next step that I am going to tackle is cutting the wire for the coils and wrapping them. In the following picture, I have started wrapping the coils. A couple are done and I still have a couple more to do. While doing this, I found that it’s important to wrap the coils close together tightly as the longer coils were pretty tight getting all all the wraps in between the holes that were drilled for the tag ends to go through. The easiest one was the 20m coil. The toughest was the 60m coil with 82 wraps. After wrapping the 60m coil, I had to work the wire wraps down again to get all the wraps to fit. I’ll post more as I go . . .